From the morning coffee to the muddy soccer game, today’s active lifestyles subject the fabric and carpet in your vehicle to a great deal of abuse. Our premium Fabric Protector increases the life, looks, and cleanablility of your fabric and carpet by forming a barrier that repels dirt and abrasive particles. 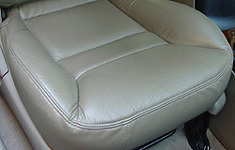 The leather in your vehicle needs special care. The seating surfaces are required to flex and stretch every day under an extreme range of temperatures and conditions. 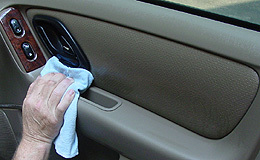 Treatment with “Leather Care” will cleanse, enrich, protect and seal the leather to keep it looking new. 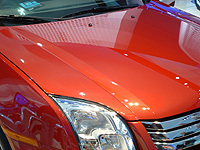 Our Paint Protector is considered a major break-through in paint care. 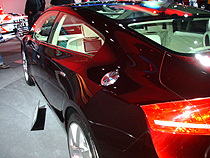 Waxes quickly wash off or melt off in the hot sun, and silicones smear and attract dust and dirt. Our superior Paint Protector is a tough film forming polymer resin coating that resists damaging acid rain, industrial fallout, oxidation, detergents, bugs, and bird droppings while maximizing the shine. Keeps your vehicle looking showroom new. 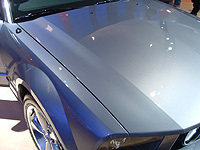 Ultimate Protection for painted and metal automotive surfaces. 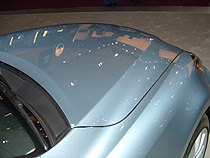 The vehicle’s underside is directly exposed to damaging elements. Water, salt, mud, snow, ice, salt, and dust control chemicals combined with abrasion caused by dirt, sand and stones, attack the metal on your vehicle’s underside to cause rust. 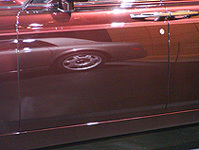 Protect your vehicles underside with Undercoating. Sound Barrier provides all the benefits of undercoating plus the added comfort of a quieter ride. 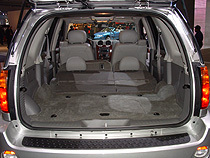 The thick coating deflects road noise and inhibits metals ability to resonate sounds into the passenger compartment. Make every mile more pleasant with Sound Barrier. It’s not enough to say your vehicle is running good after a lot of miles; you want it to continue to look good too. Water, humidity, air, mud, salt, calcium chloride used for dust control, and galvanic reactions attack today’s vehicles and will cause rust damage. Protect the entire body with Rust Protection.